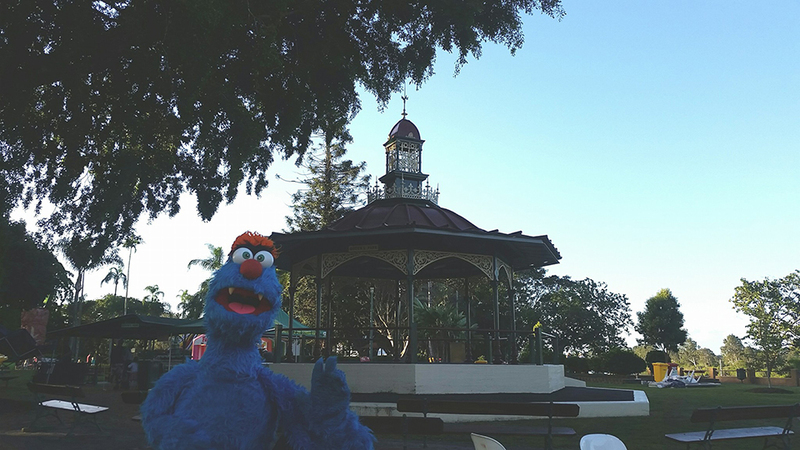 Brett and Elissa spent the weekend in Maryborough, which is a country town located on the Mary River in Queensland, Australia, approximately 255 kilometres north of Brisbane. It’s part of the Fraser Coast. 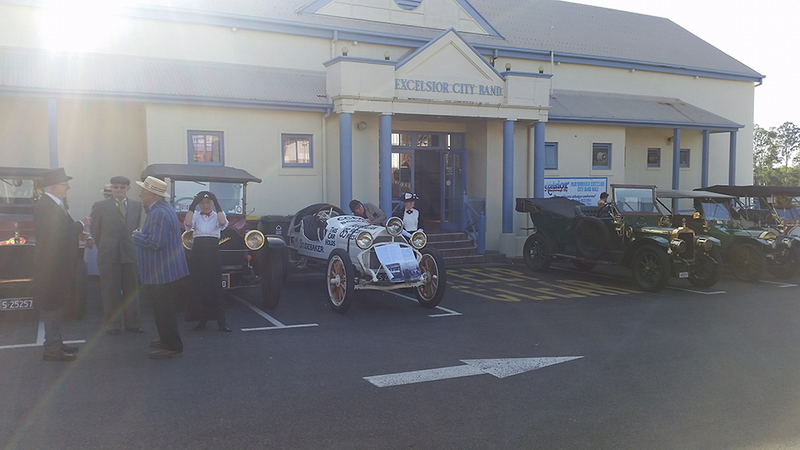 Maryborough is the birthplace of author P.L. Travers (1899 – 1996), which was the pen name of Helen Lyndon. She went on to write the Mary Poppins series of books (there were 8 in total). After much interest in the character, and persistence from Walt Disney, a film was made about Mary Poppins, which is a much loved classic. Every year, the town of Maryborough celebrates the art of storytelling and performance at The Mary Poppins Festival, and Larrikin Puppets were invited to present puppet shows and puppetry performance workshops at the 2017 event. 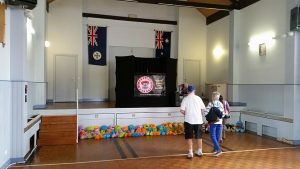 The puppetry presentations were held in the Maryborough Excelsior City Band Hall all day on Saturday, 1 July 2017. Troggg’s face was even drawn in chalk on a sign out the front! 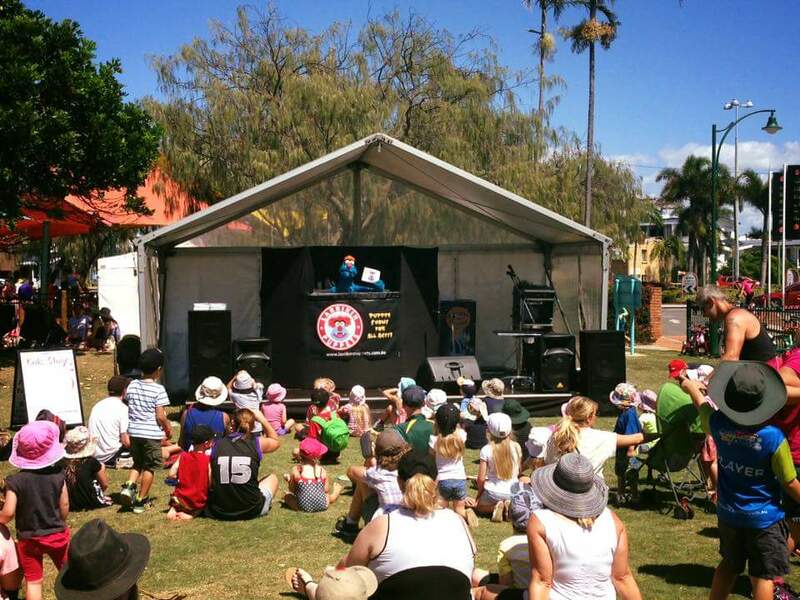 Puppet show audiences were treated to the zany antics of Troggg, Flossy, Moss, Frizzby, Frazzamatazz, the Cheesecake, Freerange the Chicken and their animal friends with a Mary Poppins twist. Workshop participants enjoyed a hands on (or hands “in”) lesson on some of the techniques behind the workings of Muppet-style hand puppets, which included a Mary Poppins themed, choreographed, lip sync and dance along with all the puppets! 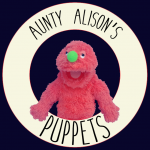 One of the lovely workshop participants was puppet builder and performer Alison Crane from Maryborough’s own Aunty Alison’s Puppets! Check out her Facebook page and website. 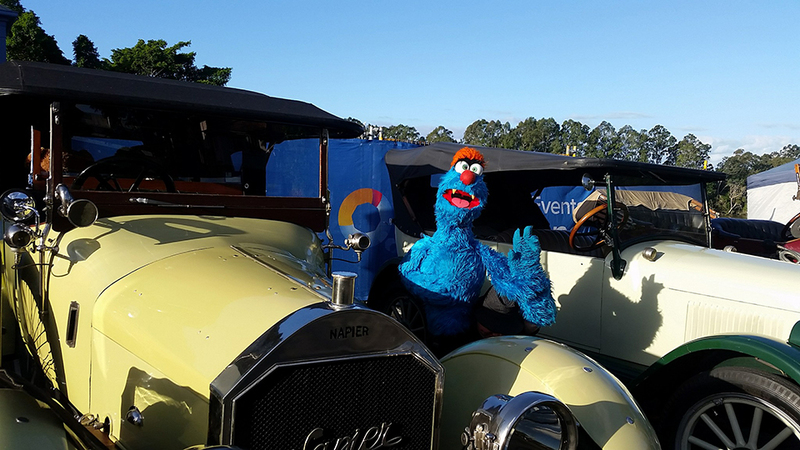 Troggg had a really nice day at the Mary Poppins Festival, and particularly liked the vintage cars driving around at the event. Caboolture film maker Gabor Kukucska set himself a challenge to make 52 short documentaries in 2017. That’s one per week! These documentaries are about inspirational people. And one of these people is Queensland puppeteer Brett Hansen – founder of Larrikin Puppets. From childhood bullying and awful workplaces to personal difficulties like unemployment and the end of his first marriage, this 13 minute film tells the whole story. 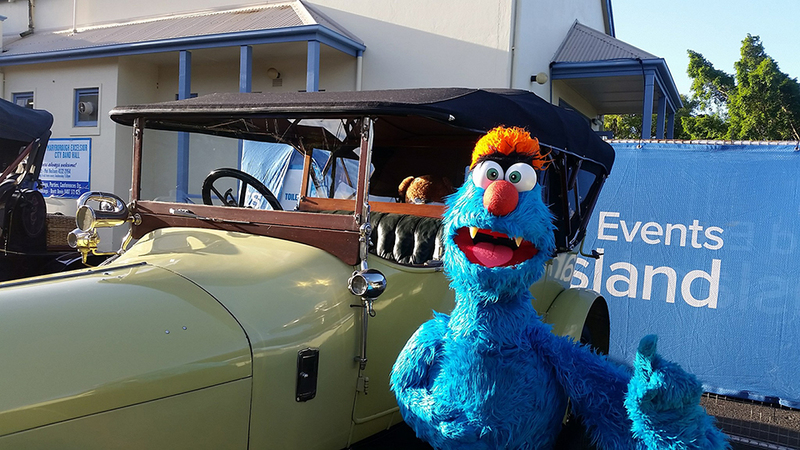 Strong encouragement from his loving family helped shape Brett’s life, and eventually he met the love of his life Elissa Jenkins, whose support has meant the world to Brett in the continuing growth of Larrikin Puppets. The film also talks about the types of bookings Larrikin Puppets receive, including puppet shows and puppetry workshops. We learn about the Small Business Development Conference in Melbourne, and Brett’s advanced training in the USA with puppeteers from The Muppets and Sesame Street. The full 13 minute film is available to see now for free at https://inspireflix.com/docos/the-puppeteer/ by creating a free (and quick) login or signing in with Facebook. The login gate is because film festivals don’t accept films with full public access on YouTube or other such video sharing sites. We would love to see this film accepted and screened at festivals around the world. But we would also love you to login and see the film here and now at the InspireFlix website (formerly My Doco Club). 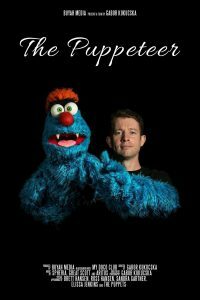 NOW LIVE at https://inspireflix.com/docos/the-puppeteer/ – “The Puppeteer” – Brett’s dream to become a working puppeteer, and the struggles and triumphs along the way. 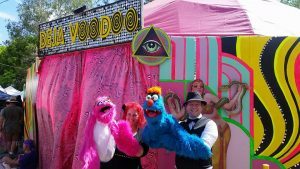 Brett Hansen, Elissa Jenkins, Ross Hansen, Sandra Gartner, Troggg, Freerange the Chicken, Frazzamatazz. Monitor puppetry is the style of puppetry developed by Jim Henson for performance on film and television productions. Unlike traditional live performance puppetry, the puppeteers don’t look at their puppets. 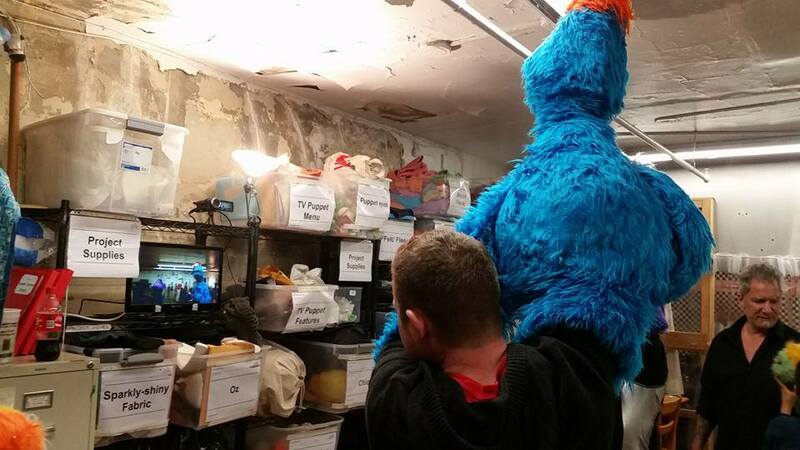 They perform their characters up high above their heads, and watch their puppetry in a TV monitor. This enables the puppeteer to see if the puppet has good eye focus, good lip sync, and is able to walk correctly into a frame, and perform many tasks within that frame without looking stupid. This is why the puppetry on The Muppets, Sesame Street, Fraggle Rock and all associated TV shows and movies look so good on screen. 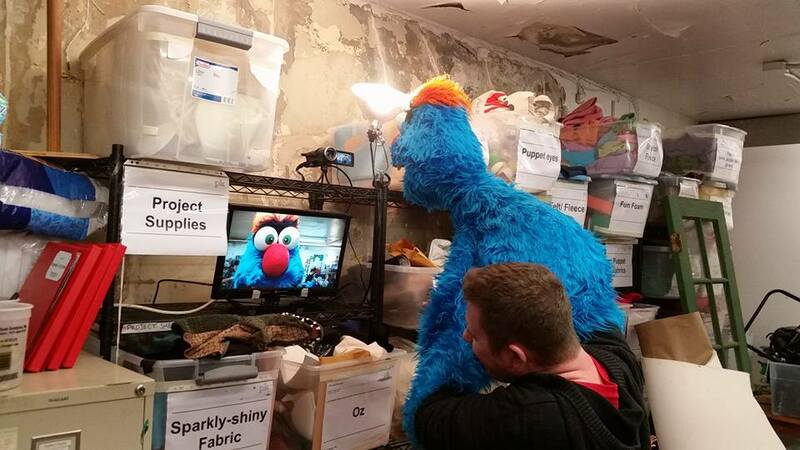 It’s because the puppeteers are able to see exactly how their puppets will look to the viewer at home. This is a perk that most actors don’t get to enjoy. A human actor must perform their scenes without ever looking at themselves on any monitor. Whereas puppeteers are blind on set if they have to crouch and hide behind tables and props without being able to see what they’re doing. The puppet is the star, and so the puppet (like human actors) still performs its scenes as normal. But the hidden puppeteer is the one controlling the puppet. 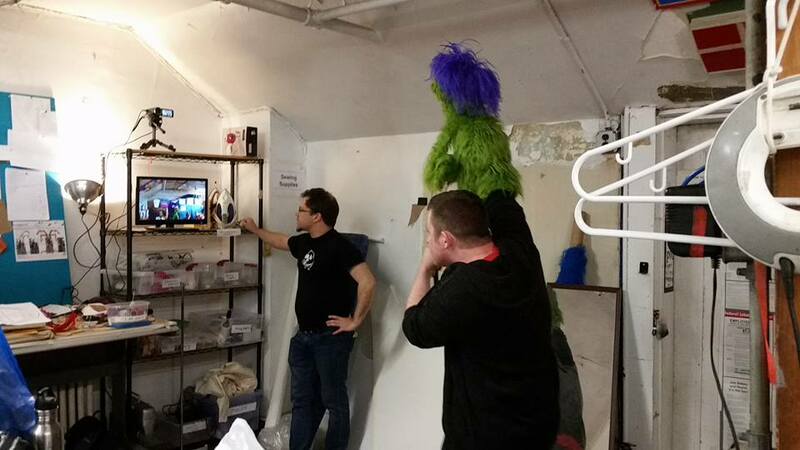 So the puppeteer is allowed to watch their puppets on the TV monitor to make sure the movements are perfect. It wouldn’t be fair to expect the puppeteer to perform blind. 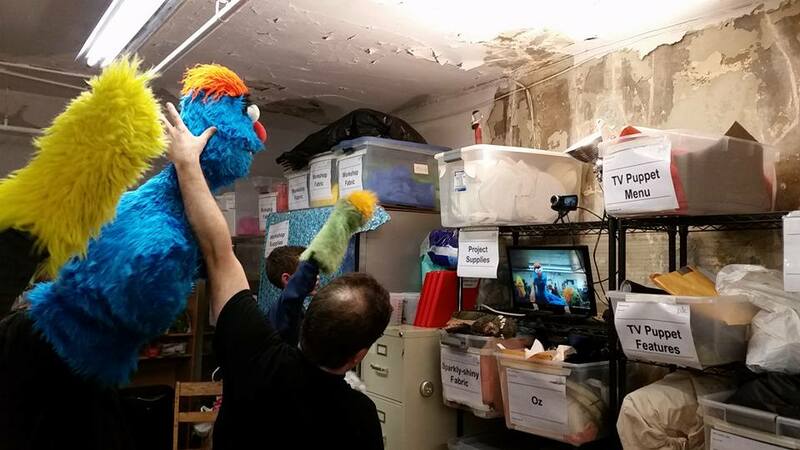 Monitor puppetry is a great way for puppeteers to practice their movements. From subtle facial emotions to wild arm movements, watching your puppetry skills on a monitor is a very good way to practice and improve. Brett Hansen at Larrikin Puppets has been practicing and perfecting his puppetry skills since the age of three, and has taught many workshops in theatre, film and schools on the basic movements of Muppet-style puppetry. 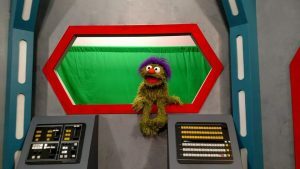 He even produced a live monitor puppetry improv show, where audiences could watch the cast of puppeteers at work, while also being able to watch a large screen displaying only the puppets being performed into the camera. 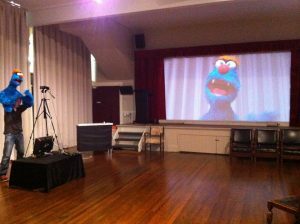 This was a live example of how the puppeteers see their puppetry on the monitor, and then that performance is broadcast/displayed onto the screen for the audience to see. But as there has never been any formal training in monitor puppetry in Australia, Brett’s only training has been both at The Puppet Kitchen in New York City (under Sesame Street’s Michael Schupbach), and at the advanced, intensive ‘Beyond the Sock’ puppetry workshop at the University of North Texas (under The Muppets and Sesame Street’s Marty Robinson and Noel MacNeal). 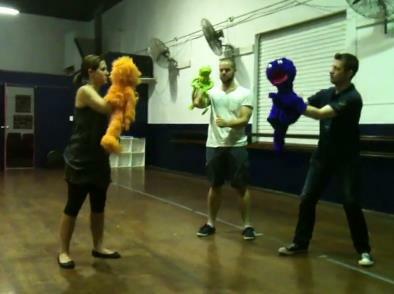 Brett now provides this kind of training through Larrikin Puppets for specially arranged class bookings. 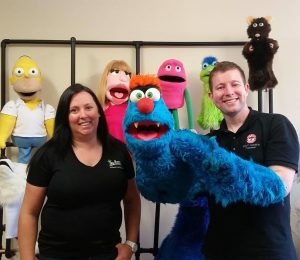 Brett’s wife and business partner Elissa Jenkins also received some training at The Puppet Kitchen in New York, and this was her first training. 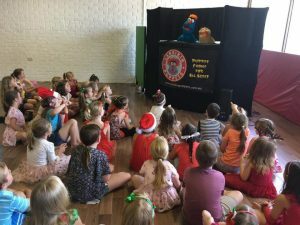 She has since continued to practice her skills and has also started joining Brett as a secondary puppeteer at some of the larger events (such as Woodford Folk Festival and Paradise Resort Gold Coast). So here now is a hilarious outtake video where Brett (as Troggg) and Elissa (as Flossy) are practicing some monitor puppetry, and working on the challenges that arise, such as trying to avoid heads and arms appearing in shot. Lots of laughs during this quite challenging activity. It’s certainly not as easy as it looks. But it’s definitely as fun as it looks! 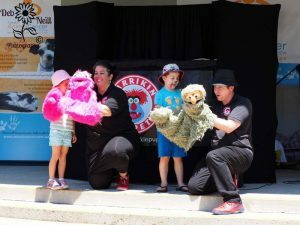 Larrikin Puppets are very much looking forward to working with the Queensland staff of Happy Feet Fitness in February. 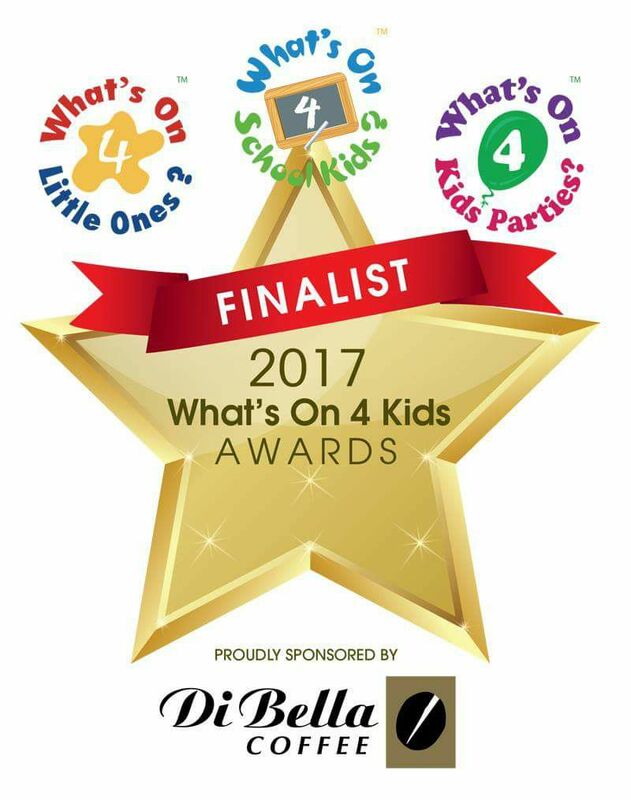 Happy Feet Fitness is a wonderful organisation that teaches kids about fitness and healthy choices through fun songs, dancing and games. There’s also an element of puppetry. 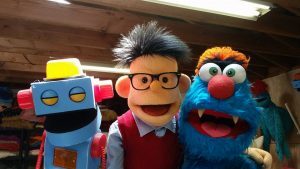 So we’re very excited to be running a fun puppetry workshop for the staff, teaching them puppetry for live performance, and monitor puppetry for film and TV. 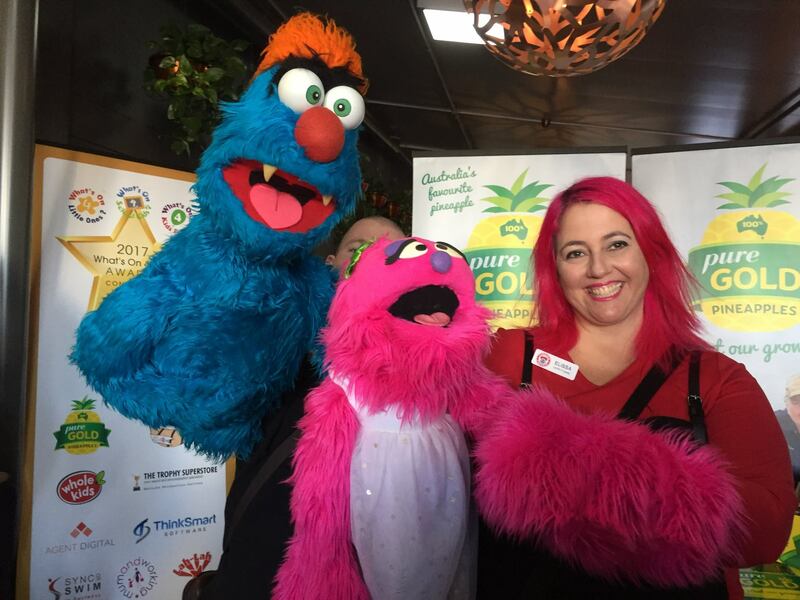 This is not the first time Happy Feet Fitness and Larrikin Puppets have crossed paths. 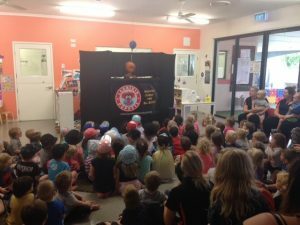 Both companies have performed in many of the same childcare centres, particularly Guppy’s Early Learning Centres around South East Queensland. 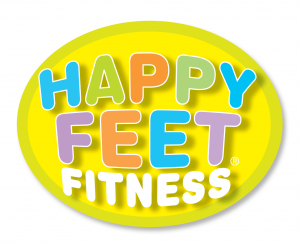 You can find more information about Happy Feet Fitness at their Facebook page, and on their official website. 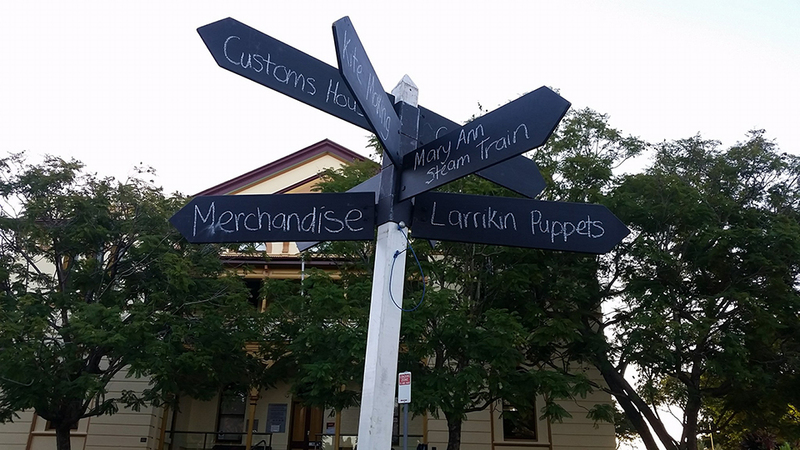 You can find more information on Larrikin Puppets at our Facebook page also. 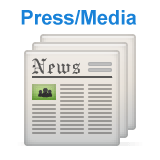 Like us to see all latest updates! You can also find us on Instagram posting regular photos. learn and grow in confidence. Only 24 hours after landing in New York, it was time for Brett, Elissa, Troggg and Frazzamatazz to visit ‘The Puppet Kitchen‘ in Manhattan! 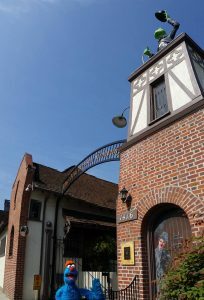 They’re a puppet construction workshop, as well as a training facility in the art of Henson-style TV puppetry using cameras and monitors. It was ‘Monitor Night’ on Tuesday. 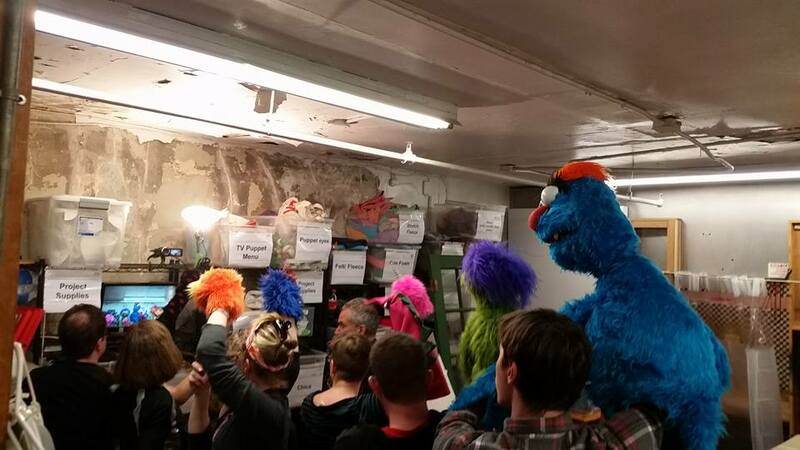 So Troggg and Frazzamatazz got to jam alongside various other visiting and in-house puppet characters. The instructor was Michael Shupbach (Jim Henson’s Muppet Workshop, Johnny and The Sprites, Little Shop of Horrors, Avenue Q puppet construction) who was very informative and fun! 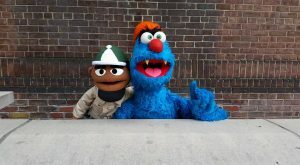 He’s one of the co-founders of The Puppet Kitchen. 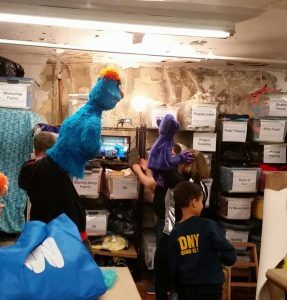 Lots of other New York-based puppeteers and puppetry enthusiasts were part of the session too, including Erin Finnegan, Arlee Chadwick, Gillian “Gus” Andrews, Ivy Cohen, Bobby Dagger and his son Jude. All an absolute delight to practice and perform with! We felt very warm and welcome in the company of these amazing like-minded people. The New York adventures don’t stop there either. 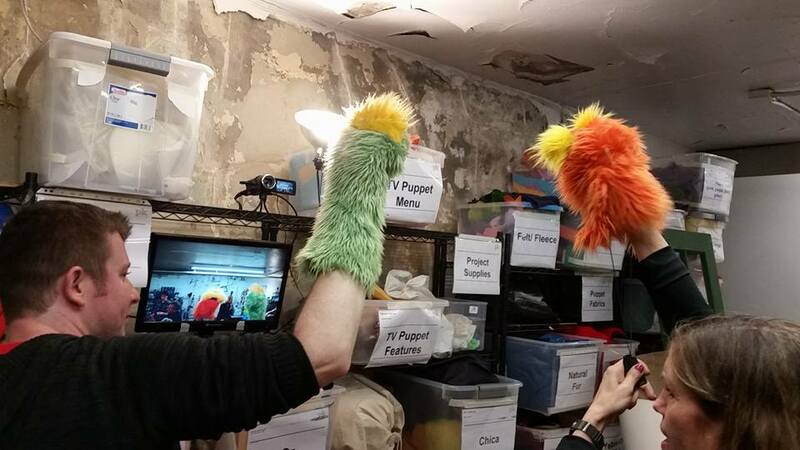 Lots more networking, some puppet shows at the Puppetry Arts Festival of Brooklyn, a trip to Hollywood and a week in North Texas for the ‘Beyond the Sock’ Puppetry Workshop with Muppeteers Peter Linz and Noel MacNeal. There’s even been some talk of me performing some puppetry in an upcoming film project here in New York too, so hopefully we have some more developments on that in the near future. 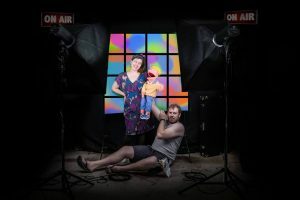 As part of his professional development overseas, Larrikin Puppets’ own Brett Hansen is enrolled in Beyond the Sock Puppetry for Television and Film Workshop 2016 at the University of North Texas. 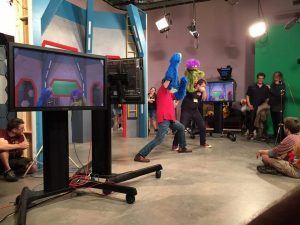 The instructors are Peter Linz (The Muppets, Sesame Street), Noel MacNeal (Bear in the Big Blue House, Sesame Street), and Pasha Romanowski (The Moe Show). Brett and Elissa head to the USA in May 2016. 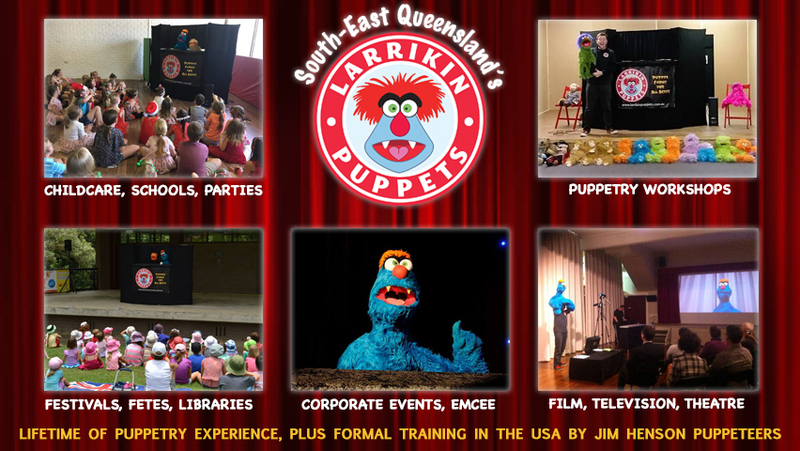 Larrikin Puppets presents a two day Weekend Intensive puppetry workshop in #‎Brisbane‬ (Moorooka/Salisbury). 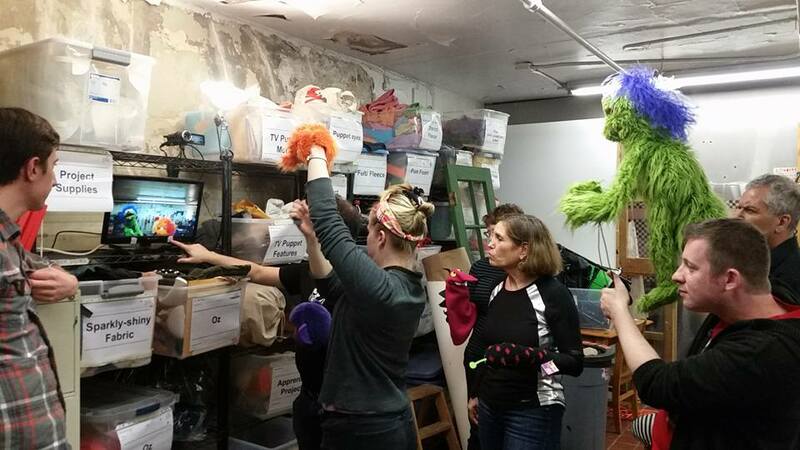 ADULTS can learn how to puppeteer in the Muppet style of puppetry! 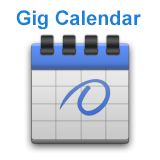 7-8 November. Build confidence, improve communication skills, make people laugh, expand your drama/theatre portfolio, learn a new skill and have fun! Learn the basic techniques that bring Muppet-style puppet characters to life in an interactive workshop led by Brett Hansen. 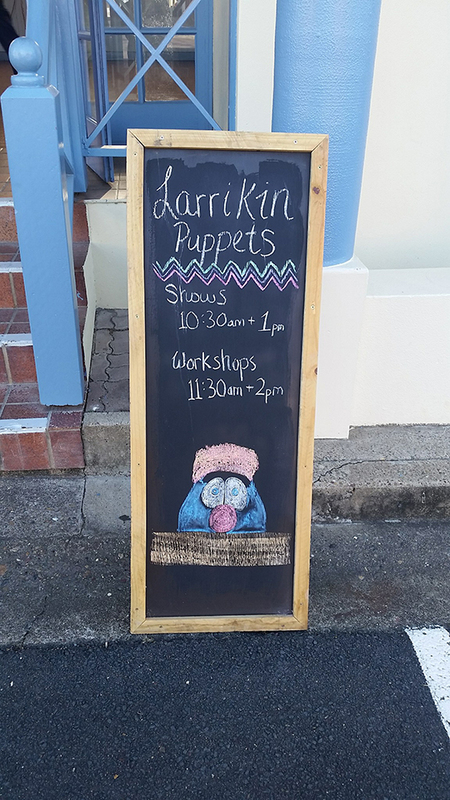 Larrikin Puppets is running beginner workshop programs for children and adults. No previous puppetry experience needed. 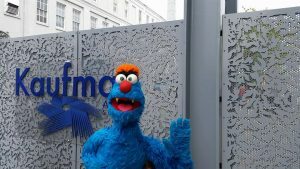 Students will get a chance to practice puppetry techniques using real puppets. 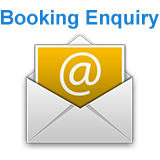 For more info or to book, visit the link below. Beginner Puppetry for Adults, Day 1 – Saturday 7th of Nov: 1:30pm – 6:30pm. 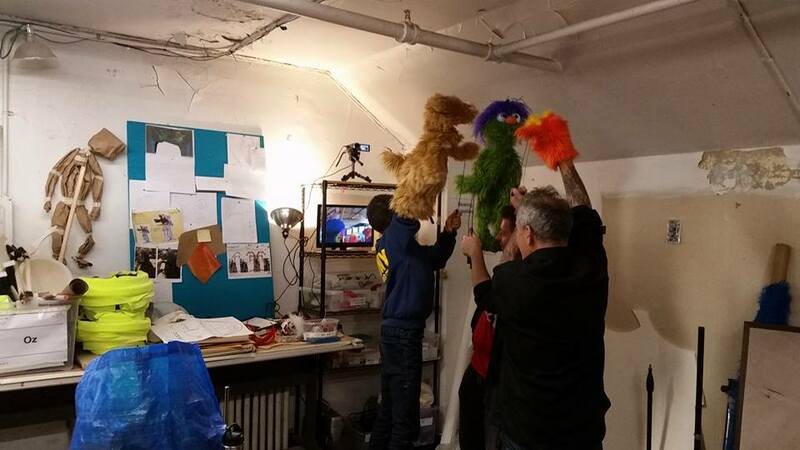 Beginner Puppetry for Adults, Day 2 – Sunday 8th of Nov: 9:30am – 4:30pm. 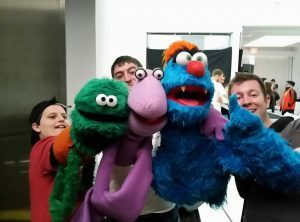 Brett is a professional puppeteer with Larrikin Puppets. 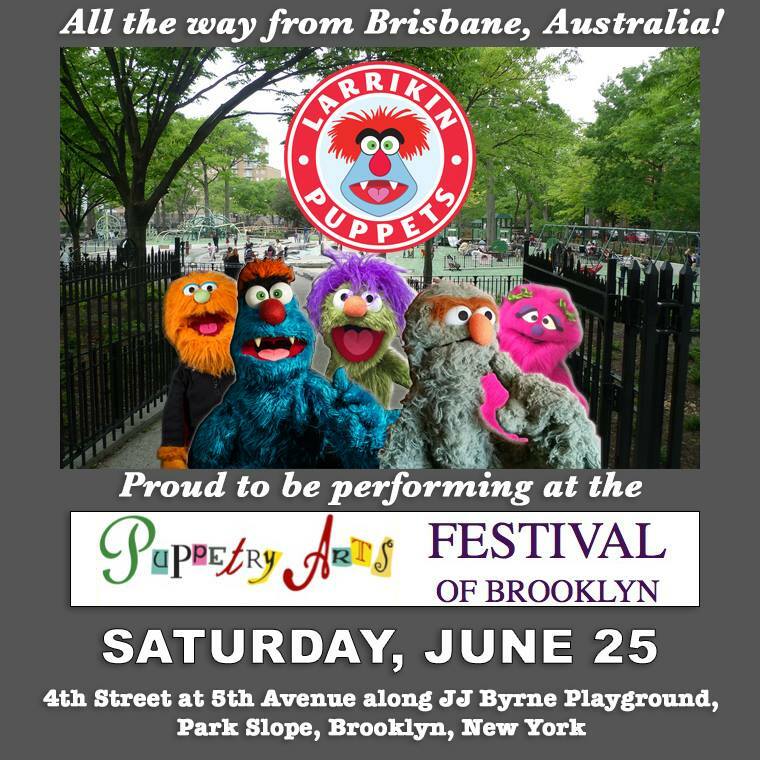 He was ‘puppetry consultant’ for both the 2012 and 2014 Brisbane Arts Theatre productions of Broadway’s “Avenue Q”. 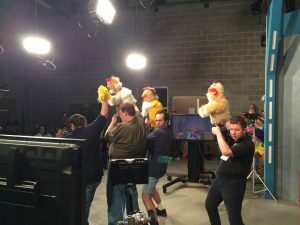 Brett was puppet trainer on the set of “Cluck: The Web Series” as well. 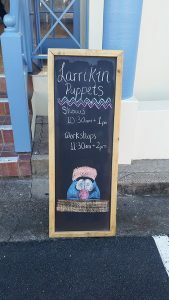 Larrikin Puppets presents a two day School Holiday puppetry workshop in #‎Brisbane‬ (Moorooka/Salisbury). 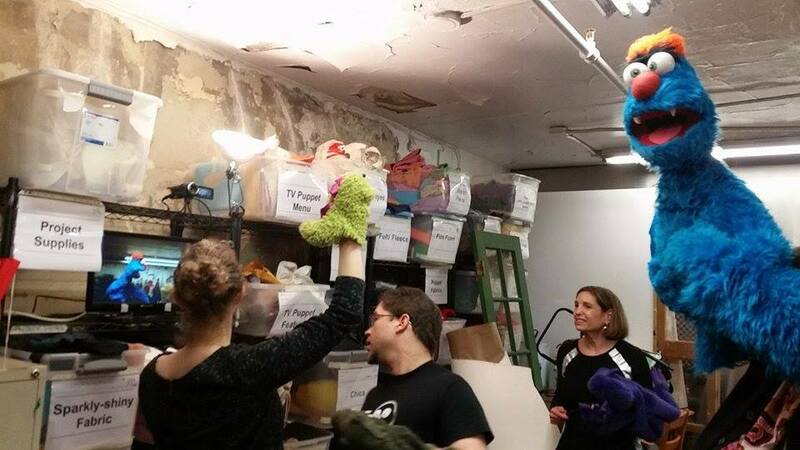 KIDS can learn how to puppeteer in the Muppet style of puppetry! 1-2 October. Build confidence, improve communication skills, make people laugh, learn a new skill and have fun! 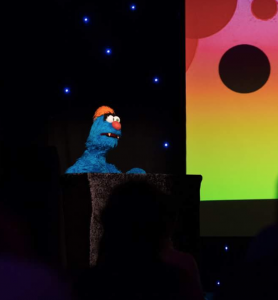 Learn the basic techniques that bring Muppet-style puppet characters to life in an interactive workshop led by Brett Hansen and Elissa Jenkins. 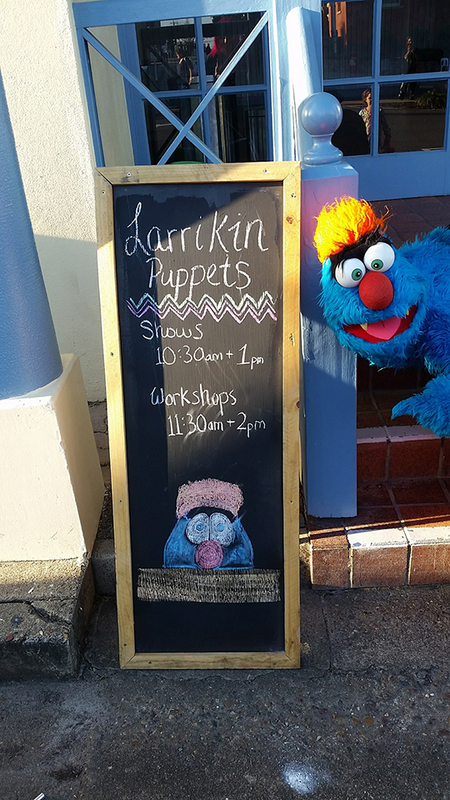 Larrikin Puppets is running beginner workshop programs for children. No previous puppetry experience needed. 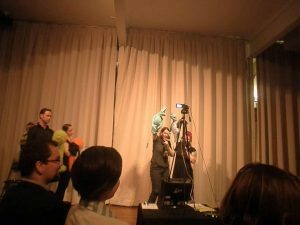 Students will get a chance to practice puppetry techniques using real puppets. Beginner Puppetry for Kids, Day 1 – Thursday 1st of Oct: 10am – 4pm. Beginner Puppetry for Kids, Day 2 – Friday 2nd of Oct: 10am – 4pm.